OK – here we do want to look at a closer Corona. 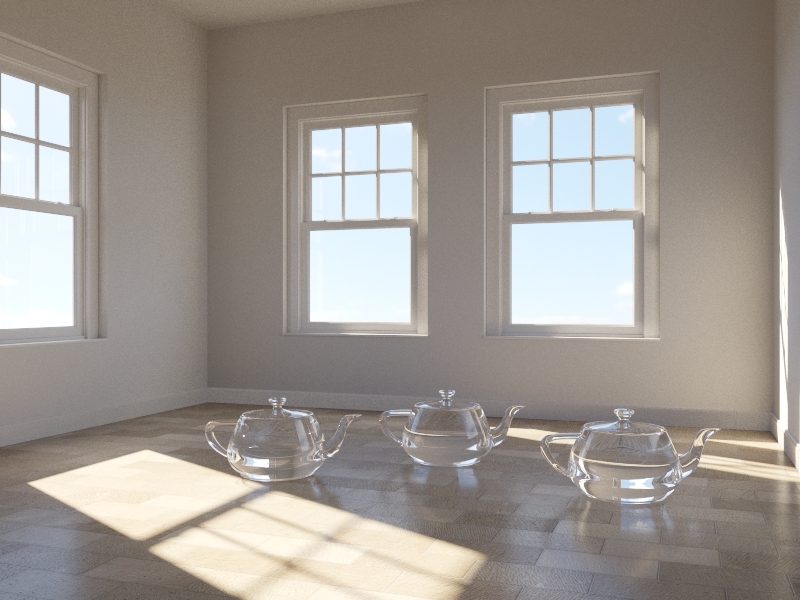 Corona Renderer is a so-called ray tracing, the photorealistic rendering delivers results and is often in architecture but also Produktvisualiserung. 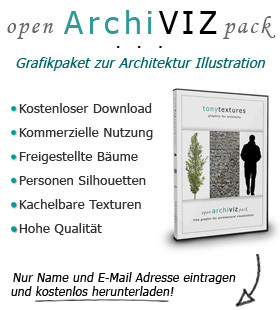 Especially in recent years, he has a lot of users to win over with the emphasis architectural rendering. Certainly not least because there is beside the commercial is also a free version of this render engine and since one can produce quite respectable results with little effort. The training period therefore falls within the ambit – a clear advantage for many architects! Therefore, let’s look at a closer Corona in this brief tutorial, and provide you an insight into the workflow and the quality of earnings in the architectural representation. 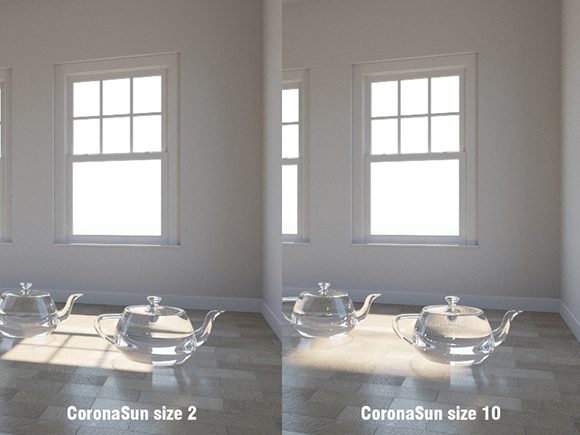 A big advantage of Corona is its simplicity – you can already achieve good rendering quality after a short training. 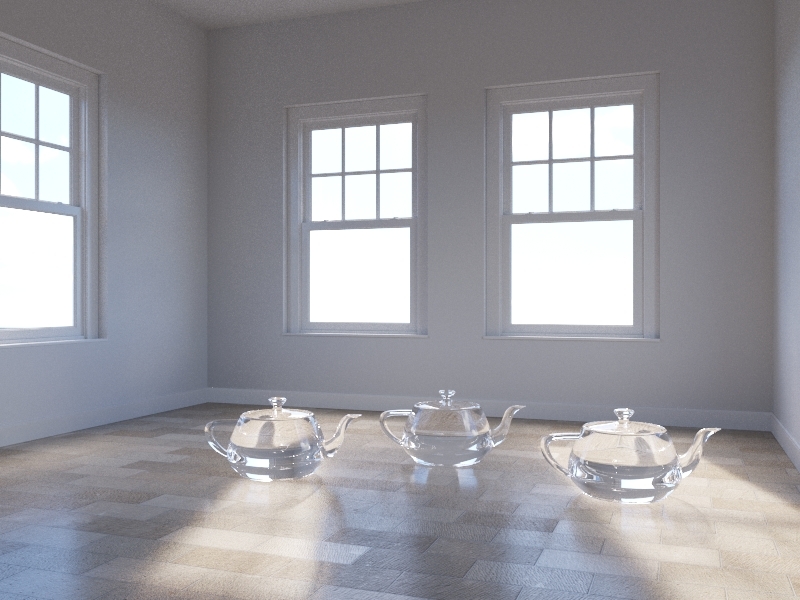 On the other hand Corona is certainly not the fastest, physical and most correct and most extensive renderer on the market – but by this clear positioning it certainly has its place in the scene. And the success of this strategy is ultimately also right! But you do provide best himself an impression to determine in which areas you can use it. 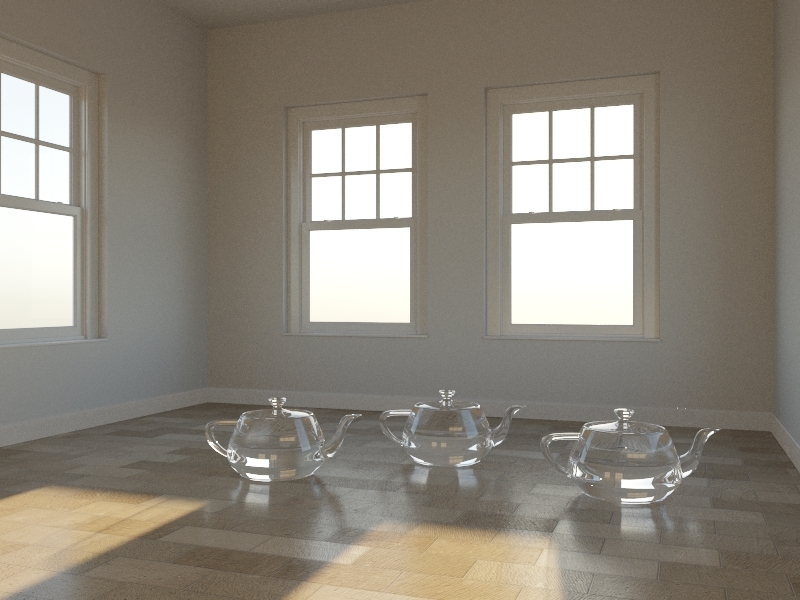 In this tutorial I will introduce you to what steps you have to create a natural lighting of interior scene with Corona in 3DS MAX shortly. Have fun! If your interior has small windows or openings you should always called Corona portal use. With this you define quasi where light to enter your room. CoronaPortalMtl is a material which can be assigned to an area (this has no thickness!). This surface with this material you placed just in front of each chamber opening – almost like a sheet of glass. 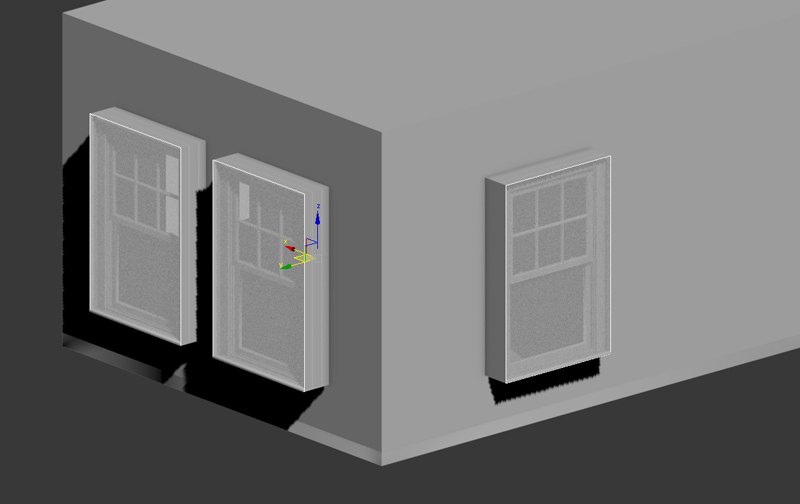 It is wichitg that you ALL window openings using this portal equips and not only what can be seen in subsequent rendering. Because of course can affect the exposure in the foreground and windows on the other side of space. The alignment of the area – defined by the „normals“ is irrelevant way. The portal in Corona are not really correct light sources they distribute the light only effective in space. Here you see how I have placed the planes at my window. If we now fire up the first test rendering the whole looks but already directly useful from it? Thin – produces no refraction effects – thus acts not as „all-glass“ and therefore empfielht for example glass sheets, soap bubbles or bulbs etc. 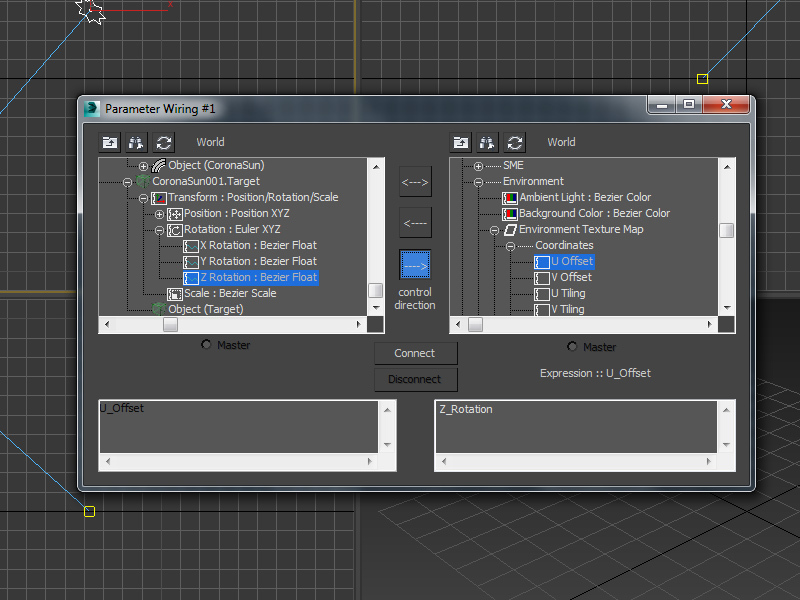 In our scenario, we use the Corona Renderer once as default – this we do over rendering tab-> Render Setup> Common> Assign Renderer and put Corona here on Production and store via Save as Defaults . We also set the values for Gamma / LUT Correction and System Units on the same values as in our last tutorial where we rendered with Corona. Now you have to load everything you need to set the scene and to be able to understand the settings. So off you go! Go on Command Panel> Create-> Lights-> Corona and choose here CoronaSun and create a sun – somewhere where you’d like. 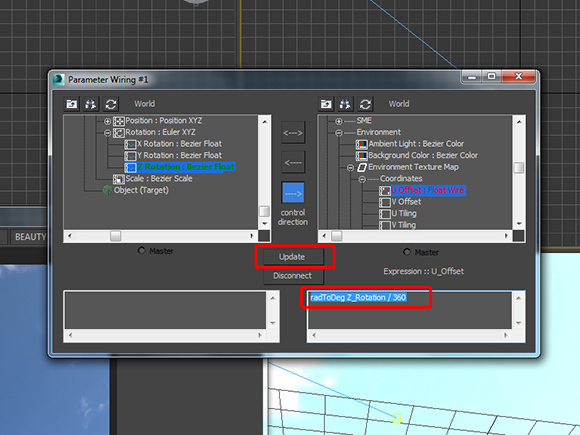 Below you can find underneath the button Add CoronaSky environment . If your light source should be very bright, it can happen that the rendering is totally exposed and has many large white area. But we can relatively easily influence the propagation strength (Exposure) of light. Rendering of you is „Corona virual framebuffer“ (VFB) appears. 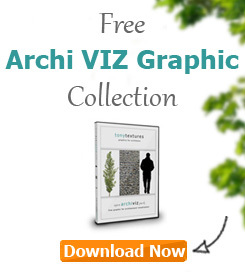 You can simply here while the image is rendered adapt certain values. Click to correct an overexposure to the ColorMap riders and reducing the value of exposure to the entire brightness of the image to reduce noise. Or you increase the value of highlight compression to areas requiring higher brightness to reduce. The general color rendering in mood can you on the settings at „Setup Balance White“ rules. For most scenes a value between 4500-6500 good and convincing results should achieve. Depending on what mood you create with your rendering want but worth it here, other adjustments to make – just try around times. The default is for the intensity ( Intensity ) and size ( size ) of CoronaSun set a value of Figure 1. The intensity changes the brightness of the sun and the size influences the hardness of the shadows. Here I recommend rather a value of 2 as the shadows then something natural, or at least shown inconspicuous. Below is a comparison of times a value for size of CoronaSun of 2 and 10. FIG. It can be seen but clearly the difference. This shows that you somehow can influence the most important parameter to be displayed with relatively simple settings. In other programs, such effects are ever like a little more complicated to adapt. Another peculiarity of Corona is that the rendering process by itself does not stop – it renders once gradual ever. 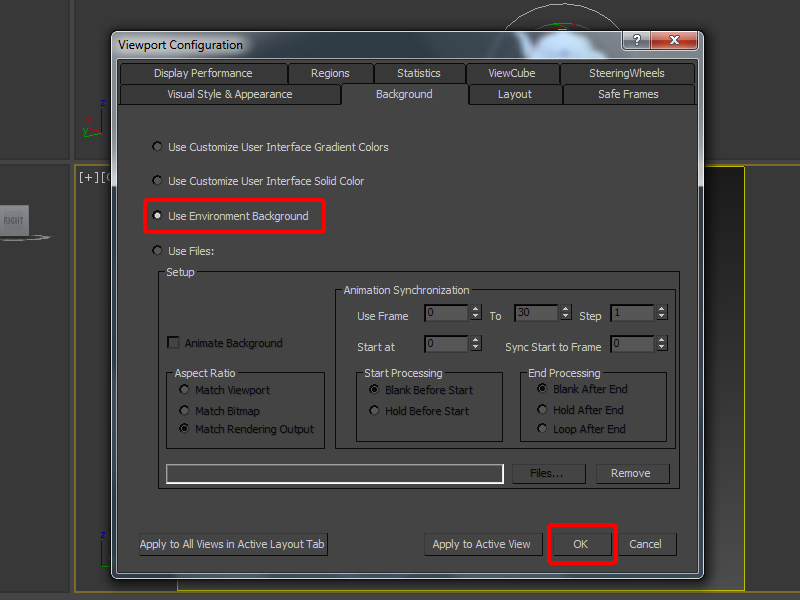 But we can have the time or runs determine via rendering> Render Setup> Scene parameters> General settings. For our tutorial we have all 100 passes set. If you want more simulate a cloudy sky, it is also very simple: we have the sun off and expose only the CoronaSky map. Simple right? But should still add a background image. We can either manually adjust ( rendering> Environment-> Background-> Environment Map) or just make an upright surface on which we map a sky image in the background of our scene. One can also under Render Setup> Scene parameters> Scene Environment settings that the settings will be overwritten (direct / reflect / refract environment overrides). Another, more common method is a Corona Light material to generate and select Emit light to turn off, then a background image as Texmap load. An alternative lighting methods is to use a HDR (high dynamic radiance) image – a graphic format, having also captured with the exposure intensity of the shooting scene. This exposure information we can use to our virtual scene to expose. 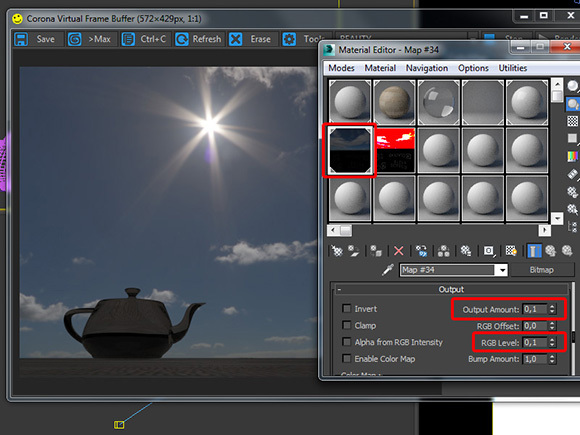 In 3ds Max, you can find over rendering> Environment-> Background-> Environment Map where you can invite the HDR image. Make sure that „real pixels“ is enabled and click OK. To better control this map have we pull the invitee image again from the Environment Map slot to a free slot in the Material Editor and select in the “ Instance“ – so, we would like that one instance is created. Changes that we make in Materialedito act now directly on the background Map under Environment from (around). We should make sure that under Coordinates , Environ activated and mapping on spherical is set – as well as our bitmap settings. 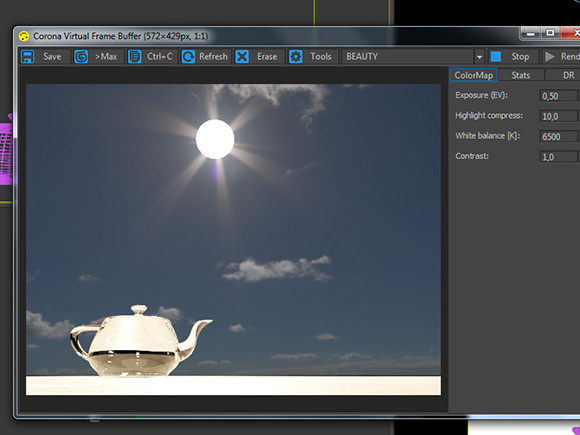 From now on our HDR image both for illumination as well as the background image of the scene is used. The value for Offset allows us to heaven or to rotate (0 = 0 degrees, 1 = 360 degrees, a half turn accordingly corresponds to 0.5). The second option also Corona can define the background image. Here you go about Render Setup> Scene parameters> Scene Environment and change under Scene environment of use 3ds max settings to use Corona . Then we load our image in the Corona’s Environment slot. 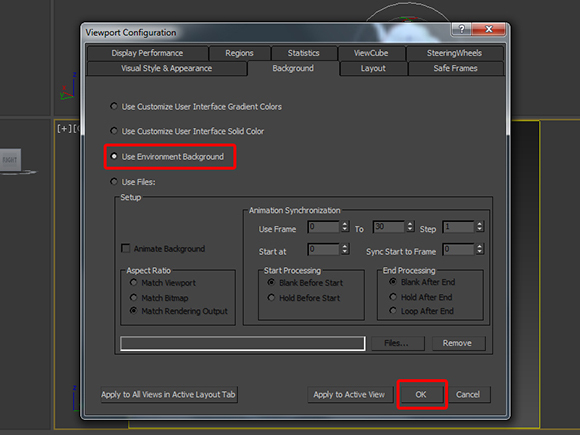 With these settings, the own 3DS MAX is ignored environmental record (Environment slot). There is really no difference in render quality or performance. A disadvantage in this method is that you now can not affect the position of the sun. We first create a CoronaSun without a CoronaSky create and upload an HDR image in the Environment slot. 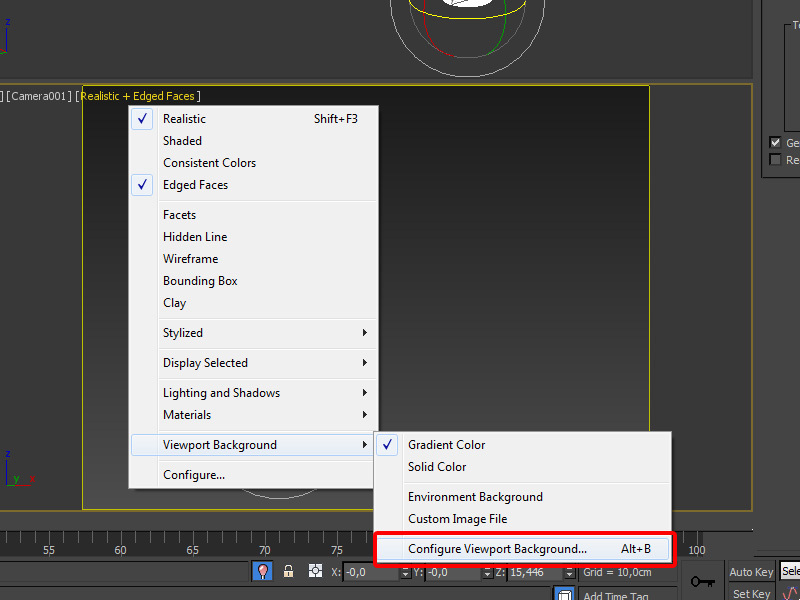 In the settings for viewport (Alt + B) we select Use Environment Background and our HDR image is now displayed on the preview screen. To find the HDR sun we reduce the value in the Material Editor Output Amount and the RGB Level . We change the camera angle to now track the sun and direct the CoronaSun and the sun from the HDRI image, so they fit perfectly superimposed. Next, we link the CoronaSun with their destination. Then again „Update“ button and that’s it! From now on, everything revolves together and we must not continue to align the individual elements of CoronaSun or the HDR environment image! Exposure and image are therefore linked! 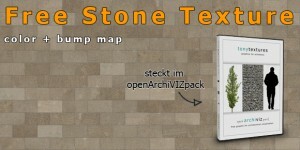 Very convenient, especially if you want to render different exposure directions for its interior or even test. 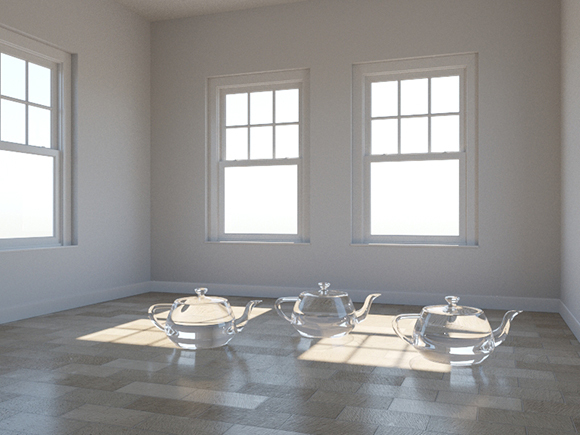 OK – I hope you have this small view like in the times we have taken care especially to the rendering engine Corona in combination with 3DS MAX. 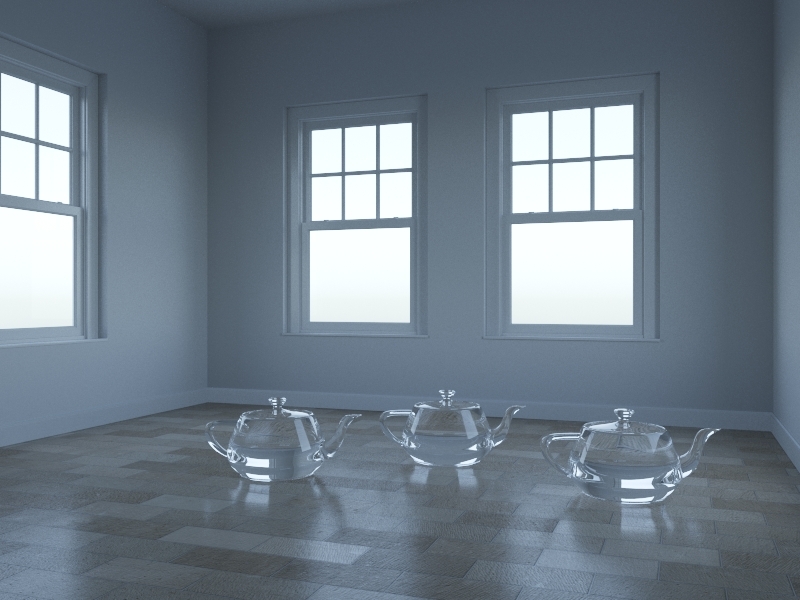 I think you can get a feel for it but is fairly easy to render a realistic animation daylight of an interior space and at really simple settings. Here is I think also the advantage of Corona. 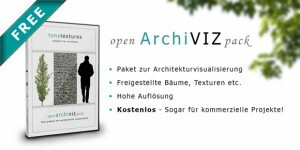 Hope you got something like sometimes with Render plugin Corona play around and collect your own experience in your next architectural visualization – Happy rendering!